There is no real question as to how Michael got into motorcycle racing, with his father Robert, brother William and uncle Joey all being professional racers. As the name of Michael’s autobiography suggests, biking is very much in the bloodline of the Dunlop family. Robert Dunlop had 5 TT wins to his name, while Joey, a former world champion, won at the TT 26 times. Sadly both Robert and Joey passed away while doing what they loved, racing motorcycles. Michael first took to the Isle of Man in 2006, racing in the Manx GP where he won the MGP06 Suites Hotel Knowsley Newcomers C race. His first time at the TT came a year later in 2007, in which he recorded DNF’s in both the Senior TT and Supersport TT but achieved 25th in the Superbike TT to win his first bronze replica. Despite losing his father in a practice crash at the North West 200 in 2008, the meeting would be, arguably, the defining moment in Michael’s career as, just 48 hours later, he took to the grid and amazingly won the 250cc race ahead of Christian Elkin and John McGuinness. He made a last minute decision to compete at that year’s TT and took three top ten finishes, no mean achievement for the then 19 year old and it gave a glimpse of what lay ahead. The following year saw that potential realised as he took his first TT win with victory in the second Supersport race. He completed the week with second overall in the re-introduced Lightweight 250cc TT. Described by many as the greatest road racer on the planet and winning the Senior TT three times is an amazing achievement, not to mention the 12 other TT wins Michael has to his name. He currently sits joint fourth with Terry Shepherd, Bill Smith and Jason Griffiths and Guy Martin in the Southern 100 Solo Championship all-time standings with three race wins. Only Uncle Joey Dunlop (6 wins), Ian Lougher (5 wins) and Guy Martin (4 wins) currently rank higher than Michael. It is not only the TT or Southern 100 Michael has dominated, the same can be said for the North West 200. He has five wins in this race, making him joint 12th in the all-time rankings with seven other riders. The Dunlop name is ever present in these rankings, with dad Robert the second most successful rider at the event with 15 wins and Joey fourth overall with 13 wins. Some would say however, the courage and bravery Michael showed to race in the TT in 2008, the same year his father lost his life at the North West 200 can be seen as his greatest achievement and show of strength. Michael joined Tyco BMW for 2018 replacing the injured Ian Hutchinson and the North West 200 saw him claim second for the team in the feature Superbike race. The event also saw him take third and fourth in the two Superstock races when riding his own MD Racing/Carl Cox Motorsport BMW and fifth in the second Supersport race on the MD Racing Honda. He then made his way to the Isle of Man TT where he added three more wins to his collection in, making him the third most successful racer in Isle of Man TT, behind only Uncle Joey and John McGuinness. Riding for Tyco BMW, Dunlop won the first Superbike race of the week, though this was helped by retirements from both Dean Harrison and Peter Hickman and he followed this up with a win on Honda machinery, claiming victory in the opening Supersport race. This encounter saw Dunlop beat his own 5-year lap record, with an average speed of 129.197mph and he impressively beat runner-up Harrison over the line by over 10 seconds, with Hickman coming 3rd. Further success came in the Lightweight TT race, where Ivan Lintin retired after a brilliant start which left it between Dunlop and Derek McGee to battle it out for the win. 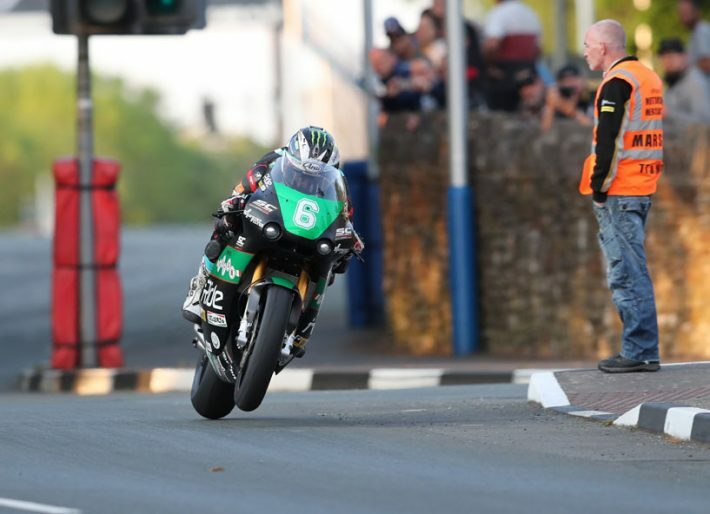 Riding for Paton, Dunlop was able to claim another lap record with a lap of 122.750mph to complete a hat trick of TT wins. Impressively, Michael finished in the top 5 in all of the TT races he entered in 2018 as he also came 2nd in the Superstock race behind Hickman when riding the MD Racing/Carl Cox Motorsport BMW, 4th in the Senior TT on the Tyco BMW with a time of 01:45:45.315 and 5th in the Supersport 2 meeting which was won by Harrison. Only a penalty for speeding in the pit lane in the latter prevented him recording another podium but his results were more than enough for him to win the Joey Dunlop Championship once more, the trophy awarded to the rider with the most points across the five races. Sadly, the TT would be Michael’s final race meeting of 2018 as his brother William was tragically killed at the Skerries 100 in July and Michael pulled out of racing for the remainder of the season. 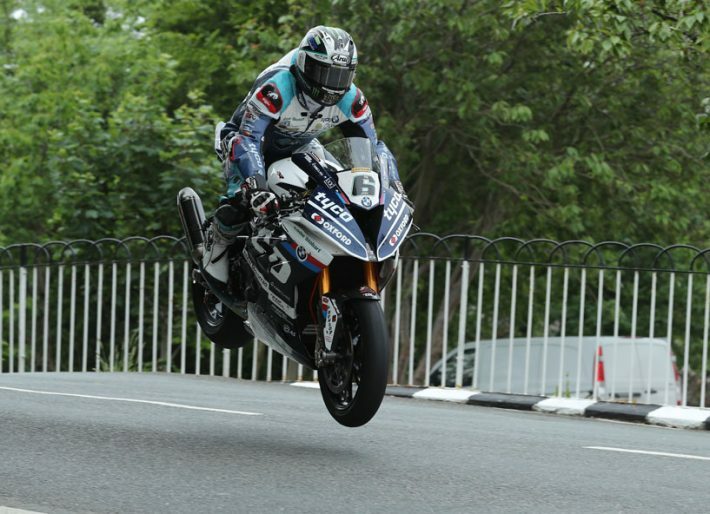 Currently the third fastest rider to have lapped the Isle of Man TT Mountain Course with a speed of 133.962mph.